Textiles have been our passion and our pleasure for over thirty years. 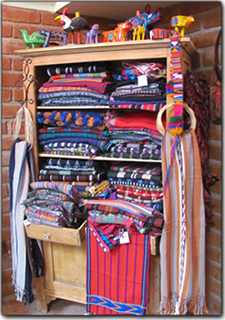 At Trocadero de Tubac we take great pride in our fine selection of vintage and antique weaving from Guatemala. 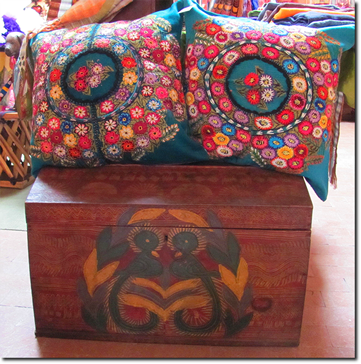 These textiles are stunningly rich in color and pattern design; each piece has a name and some of the symbols used have sacred meaning. 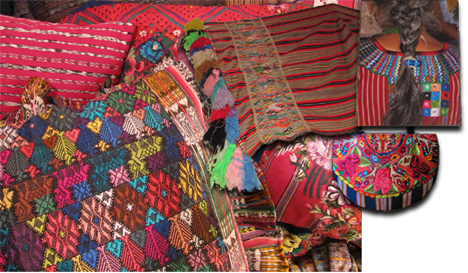 People from the different regions of Guatamala wear distinctive clothing styles that define them. We work closely with thirty-five different weavers' groups and co-operatives and encourage the use of high quality materials and design while providing a sustainable market for the goods they produce.